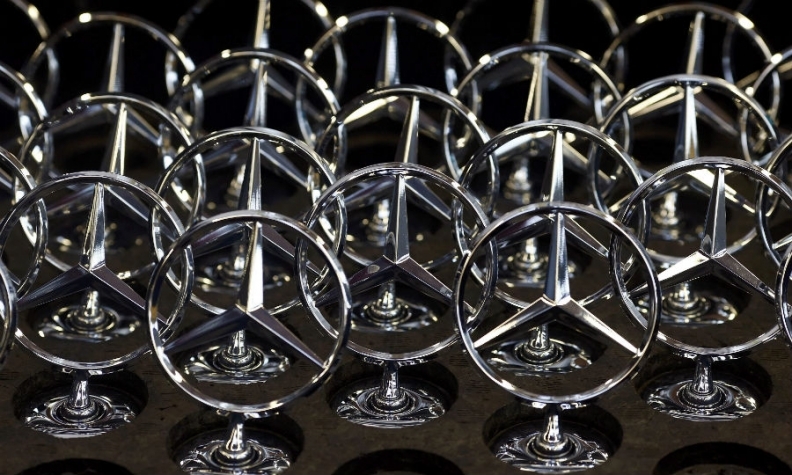 FRANKFURT -- Mercedes-Benz brand kept its lead among luxury automakers in July after vehicle sales increased at a faster pace than its German rivals. Mercedes brand's global volume jumped 9.4 percent to a record 163,770 last month, helped by the launch of the new E class and demand in China where sales rose by 26 percent. The brand's sales in Europe grew by 6.2 percent while U.S. sales gained 3.6 percent. BMW brand's global vehicle sales rose by 4 percent to 153,392. Deliveries increased by 5.3 percent in China, 4.2 percent in Europe but fell 1.1 percent in the U.S. BMW said strong demand for its SUVs and 2-series models boosted sales. Audi today reported a 2.3 percent rise in global sales in July to 149,400 with China sales up 9.9 percent, European sales up 1.5 percent and U.S. volume up 4.4. percent. In the UK, where Audi has been hit by parent Volkswagen Group's emissions-cheating scandal, sales fell 9.9 percent. BMW may struggle this year to retain the luxury sales crown it has held since 2005. Through July, Mercedes brand sales increased 12 percent to 1.17 million. BMW brand's sales grew 6 percent to 1.13 million, while Audi's volume grew 5.2 percent to 1.10 million. BMW may still be the No. 1 luxury automaker by volume for the full year if all its brands are counted. The automaker's group sales including Mini and Rolls-Royce increased 6 percent to 1.34 million in the first seven months. Mercedes Car Group sales including the Smart brand rose 12 percent to 1.25 million in the same period.